Now that the drama of who will play James Bond in the next film is behind us, we can begin to focus on the drama that will transpire on screen once the 25th James Bond film finally arrives. New details may have leaked which paint an interesting picture of the film's story. Specifically, it hints at how Bond 25 may relate to Spectre as well as another story from James Bond's past, the movie On Her Majesty's Secret Service. The rumor states that the next James Bond film will see the return of Léa Seydoux in her role as Dr. Madeleine Swann from Spectre. The two characters walked off together in Spectre and as the new film opens, the two are reportedly married and James Bond has quit his spying lifestyle. Things are not all sunshine and rainbows forever, however, as Dr. Swann is somehow killed, Page Six doesn't specify how, bringing Bond back to work in a quest for vengeance. If that plot sounds slightly familiar, it's because this description of how Bond 25 starts is exactly how On Her Majesty's Secret Service ends. The only James Bond film to star George Lazenby as the super spy, it was also a very different Bond film because of its story. Bond saves a woman, Tracy di Vicenzo, at the beginning of the movie, and marries her at the end. However, before they can even start their new life together, she is killed by another character familiar to those who saw Spectre, Ernst Stavro Blofeld. Christoph Waltz played Blofeld in Spectre and there's been some indication that the character will return for the new film as well. The primary villain has been rumored to be somebody else, but it's possible that this new character could be a Blofeld lieutenant who takes out Bond's wife as payback for Bond stopping Blofeld. 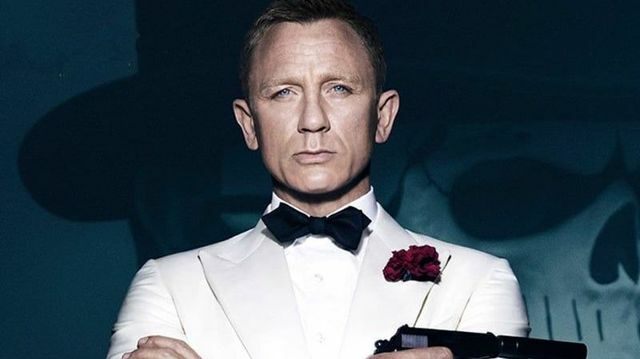 An early rumor regarding the future of the James Bond franchise had indicated that Daniel Craig would film two more Bond movies, with the second being a direct remake of On Her Majesty's Secret Service. While this rumor appears to contradict that to some degree, it certainly seems to indicate that wherever these rumors are starting, some relationship to that specific movie is certainly on the table. Maybe the new Mrs. James Bond will survive the next movie, but if she does her number may be up in Bond 26. While On Her Majesty's Secret Service was not well-received in its day -- and it's always been something of a black sheep of the franchise due to its lead only being around for one film -- in recent years the film has become much better regarded. Maybe this is why the studio is looking at remaking, or at least adapting elements, from that story. Denis Villeneuve is top of Daniel Craig’s personal director wish list for James Bond 25, according to a new report. It’s still early days for the next entry in the long-running series; it was only recently confirmed Craig would return for the fifth and final time, and the film doesn’t even have a title or firm release date yet. Numerous rumors have appeared surrounding the film though, with one recent report claiming the film would be called Shatterhand, and the villain would be blind. Earlier this month, another report surfaced and claimed the story would follow a retired Bond seeking revenge for his wife’s murder, and the film would be the Taken of the Bond franchise. Apparently, Beyonce is also the frontrunner to record the film’s theme song. Now another unconfirmed report has arrived courtesy of The Daily Mail, stating Daniel Craig is eager to bring the acclaimed Denis Villeneuve on to direct. This is hardly surprising if true, as Villeneuve has been on something of a career hot streak in the last five years. His next film is the eagerly awaited Blade Runner 2049, and prior to that, he directed the Oscar-nominated Arrival, taut thriller Sicario, mind-twisting drama Enemy and the acclaimed Prisoners. Villeneuve is currently attached to the long-gestating remake of Dune – a movie he dubbed “The project of my life” – but if he chose to accept the director’s chair for Bond 25 that would certainly get fans excited. Craig has worked with a unique line-up of director for his Bond movies; from Martin Campbell on Casino Royale, Marc Forster on Quantum Of Solace (with mixed results) to Sam Mendes on both Skyfall and Spectre. Craig and Mendes seem to have formed a close partnership working together, but the director ruled himself out of returning for another entry. Previous to the Villeneuve report, ’71 director Yann Demange appeared to the frontrunner for the job. Earlier this month, Bond producer Barbara Broccoli also spoke of the possibility of a female director helming the next outing; this would be a first for the series, and would certainly give the next movie a different feel. At the present time, it’s important to take all of those reports and rumors with a generous dose of salt. James Bond 25 is still in its early stages of development, and its likely concrete information about the storyline, cast and director won’t emerge for at least another few months. During a red carpet interview, Spectre villain Christoph Waltz was directly asked if he would return for James Bond 25, and the actor gave a definitive and firm response in the negative. But his elaboration is what we’re most intrigued by. For those who don’t care to watch the video, when asked if he would return for the next sequel in the long-running franchise, Waltz said, “No, I’m sorry. I’m really sad, but that’s the tradition, that there is a new…name. Sorry. I would’ve liked to.” There are a few different ways that we could take his answer, so let’s think about this for a minute. Could a New Actor Play Blofeld? First, the tradition that Waltz is referring to is in regards to the casting of Blofeld. When the villain first appeared (albeit partially) in From Russia with Love, he was portrayed by the uncredited Anthony Dawson and his voice was provided by Eric Pholmann, and the same was done with the villain’s appearance in Thunderball. You Only Live Twice was the first time the villain showed his face, and he was played by Donald Pleasance, who would go on to star in Halloween. After that, he was played by Telly Savalas in On Her Majesty’s Secret Service, then Charles Gray in Diamonds Are Forever. Finally, the villain was used in the classic Bond films one more time, with John Hollis playing a wheelchair-bound version of the villain and Robert Rietty providing his voice in For Your Eyes Only. Christoph Waltz is the most recent actor to play an iteration of the villain, and he makes it sound like that tradition of having a new actor playing Blofeld will continue with James Bond 25. That’s an interesting decision for a franchise that has made James Bond more grounded than the spy has ever been before. But maybe Waltz meant something different. Will There Be a New Villain in James Bond 25? When Waltz speaks of tradition, he could also be talking about the fact that there’s usually a new villain brought into the fray with almost every new James Bond movie. Across the span of 24 movies featuring the secret agent, the only villains to appear multiple times are Blofeld, Jaws and Mr. White, the latter being from Daniel Craig’s tenure as 007. But in all of the movies starring Daniel Craig, there has yet to be a primary villain recur, so if Christoph Waltz returned, it would have been a compelling evolution of the series. Therefore, it could stand to reason that there won’t be a new actor playing Blofeld in James Bond 25, but there will merely be a new villain altogether, making Waltz’s return to the franchise unnecessary. Then again, there’s one other possibility. Leading up to the release of Spectre, rumors were rampant that Christoph Waltz was playing the iconic villain Blofeld. The Inglourious Basterds star denied the rumor multiple times, but as we all saw when Spectre finally hit theaters, Waltz was indeed playing the villain we’d seen James Bond face before. That means Waltz was lying the entire time he denied those rumors. There is a distinct possibility that Waltz is lying this time, simply to keep up appearances and keep secrets from inquiring minds. That’s not something I’m necessarily opposed to, especially if it allows for a cool surprise appearance of the villain in the next James Bond movie. But no matter what the outcome is, it does make us wonder what’s in store for 007. Ideally, it would be great if there was a new villain brought to the table, and we found out that somehow Blofeld was orchestrating another villainous plan, just as he had done several times before through the organization called Spectre. Then again, that’s also a bit predictable, and maybe too hokey for this version of James Bond. Either way, the good news is that we have at least one more round of James Bond featuring Daniel Craig, and hopefully it will make up for how disappointing Spectre turned out to be. Last edited by JDLM; 2018-03-15 at 09:00 AM.. Reaching for his Walther PPK, Danny Boyle confirms that he has landed the illustrious job of directing Bond 25 and plans to start shooting later this year. As a piece of cinematic history, the Bond films have followed the suave 007 for decades since Dr. No first hit screens in 1962. There have been many bumps in the road for the long-running franchise, but with a gritty reboot in 2006 with Martin Campbell’s Casino Royale, the latest era has seen Daniel Craig’s blue-eyed Bond steer the series to greatness. Despite uncertainty over Bond 25, the rumor mill can finally stop turning as MGM finally locks down a director. Fans are sure to be shaken (but not stirred) at the news, finally putting the Bond movies back on track after a shaky time following Sam Mende’s Spectre. Although the movie contained all the usual cocktails and carnage of Bond – and even included the iconic villain Blofeld – Spectre was met with mixed reviews. Mendes then confirmed that Spectrewould be his last installment of the spy series, throwing the gates open for anyone and everyone to be touted as the next director. While Spectre left enough threads to carry over to another movie, the news that Christoph Waltz isn’t returning as Blofeld presented yet another problem. However, as Craig’s fifth outing as Bond, there is also enough of a supporting cast like Naomie Harris, Ben Whishaw, and Ralph Fiennes for the transition between directors to run smoothly. Also, with Boyle and Harris having worked together before (on 28 Days Later), it should be something of a creative reunion for the director and Miss Moneypenny. Beating wishlist competition like Christopher Nolan and Denis Villeneuve, Boyle is sure to bring his own unique style to directing 007. As a jack of all trades, Boyle’s impressive CV includes everything from real stories (127 Hours), horror (28 Days Later), sci-fi (Sunshine), emotional drama (Slumdog Millionaire), and everything in between. Considering that this will be Craig’s final outing, it will be interesting to see what Boyle brings to the table for Bond 25, but expect it to be a suitably grand affair. Offered the chance of a clean slate, Boyle can effectively take this landmark movie wherever he wants, and it looks like Bond 25 is firmly in his crosshairs. Last edited by JDLM; 2018-03-15 at 09:06 AM..
Daniel Craig finally confirms that Bond 25 as his next movie. The actor made his debut as 007 in Martin Campbell’s Casino Royale in 2006, and he reprised his role in three sequels – the last one being Sam Mendes’ Spectre in 2015. Although the movie was a sequel to the most successful installment in the entire James Bond franchise, it wasn’t as well-received nor as commercially successful. So, the producers behind the series are looking to get back on track. To do that, several things are changing behind the scenes regarding Craig’s presumably final Bond film. So far, screenwriters Neal Purvis and Robert Wade have written the scripts for each James Bond film since The World is Not Enough, and they are expected to write the script for Bond 25 as well. However, it has also been reported that Trainspotting scribe John Hodge is writing a separate Bond 25 screenplay that may be used for Danny Boyle to direct, which he could do this year if the script is approved. Unfortunately, there has been some uncertainty regarding Craig’s return as 007. After Spectre released, he seemed hesitant to jump back into the role, even saying that there hadn’t been a decision yet as of last fall. But it seems everything has been settled and he’s now set to return as Bond. Although it was somewhat obvious that Daniel Craig would return for Bond 25, the fact that he and the producers have been cagey about expressly confirming his return so far put some doubts in fans’ minds. But it seems that was all for naught as Craig is now definitely returning for the next James Bond film. And while it’s great that the next installment has its star, the questions still remain about who will be writing and directing the sequel? Shortly after news broke about Danny Boyle potentially directing Bond 25, the filmmaker confirmed that he’s currently working on a Bond script with John Hodge – Boyle said that he had an idea and Hodge is trying to put that idea down on paper – but that he first had another project with About Time scribe Richard Curtis in the works that he needed to focus on. If Boyle and Hodge’s idea doesn’t please the producers, then there’s Purvis and Wade’s script, which will need to be picked up by another filmmaker to bring to life on the big screen. Daniel Craig made his debut as 007 in Martin Campbell’s Casino Royale in 2006, and he reprised his role in three sequels – the last one being Sam Mendes’ Spectre in 2015. Although the movie was a sequel to the most successful installment in the entire James Bond franchise, it wasn’t as well-received critically or commercially. So, the producers behind the series are looking to get back on track. 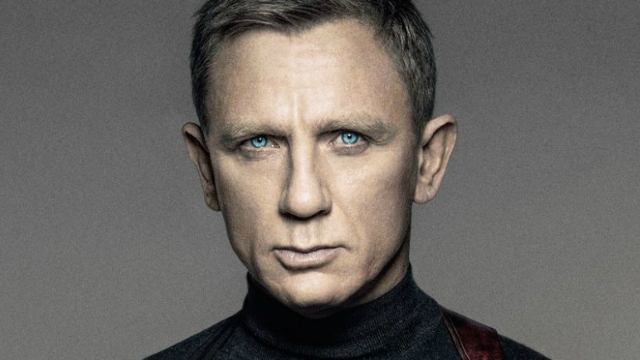 Because of Spectre's under-performance; Several things are changing behind the scenes regarding what will most likely be Craig’s final Bond film - considering, before confirming himself to be on-board for Bond 25, he was quoted as saying "I'd rather slash my wrists than play James Bond again." So far, screenwriters Neal Purvis and Robert Wade have written the scripts for each James Bond film since The World is Not Enough, and they are expected to write the script for Bond 25 as well. However, it has also been reported that Trainspotting scribe John Hodge is writing a separate Bond 25 screenplay that may be used for Danny Boyle to direct, which he could do this year if the script is approved. Now with Craig and Boyle's statuses regarding the film confirmed, there's one more player who recently mentioned her iconic James Bond role. Naomie Harris played Eve Moneypenny – aka Miss Moneypenny – in the last two entries of the spy franchise. Speaking in a recent interview, she revealed that she still hasn’t been told if the character will be part of the upcoming film. I know nothing. I don’t know if I am in it, but I do know they start shooting at the end of the year. I have cleared my diary in anticipation but I don’t know. What do you think about the actors' comments? Would you like to see Craig and Harris return for Bond 25? Would you like Boyle to direct? Late last night, news broke that Universal had secured the rights to distribute James Bond 25internationally and now, MGM has officially announced the sequel, confirming both Daniel Craig & Danny Boyle. After a heated bidding war, Universal Pictures has won the international distribution rights and the physical home entertainment rights for the highly-anticipated 25th installment in the long-running James Bond franchise. Meanwhile, MGM and Annapurna will handle domestic distribution as part of their recent joint venture. The tentatively titled Bond 25, which will see Daniel Craig return as 007 for his fifth adventure, will open in U.K. theaters on October 25, 2019, before making its way to the U.S. two weeks later on November 8, 2019. Academy Award-winner Danny Boyle (Slumdog Millionaire) has been confirmed to direct with an original script from his longtime writing partner John Hodge (Trainspotting). Production is expected to begin on December 3. Looking ahead at the release calendar, Bond 25 will open in a busy November, opposite 20th Century Fox's Death On The Nile and an Untitled Disney live-action film. It will also debut a week after Warner Bros.' Wonder Woman 2 (November 1) and ahead of Paramount's Sonic the Hedgehog (November 15), Skydance's Terminator 6 (November 22), and Disney's Frozen 2 (November 29). I like watching big films but I don't think I'm necessarily good at making them. Then I thought 'no, you shouldn't think like that'. We have this idea about what we want to do with Bond and I felt we should have a go because of this idea. So we are trying to stay true to our principles. Additionally, Danny Boyle revealed that another reason he's directing Bond 25 is because he wanted to "tackle the unknown," something he did in the early years of his career with Shallow Grave and Trainspotting. Not wanting to get in a groove where he repeats himself (which, as he sees it, leads to not asking himself questions and not feeling "the fear about what you're doing"), directing a movie this large in scale allows him to venture into new territory. No official plot details for Bond 25 have been announced yet, but with Daniel Craig departing afterwards, it truly marks the end of an era. No other cast members have been confirmed yet either, but Ben Whishaw expects he'll be reprising Q, and Naomie Harris has expressed interest in playing Moneypenny again. Production is expected to begin on December 3. The latest Bond 25 rumor indicates Helena Bonham Carter is the top choice for the film's villain role. After spending years in development, the next installment of the iconic spy franchise is gearing up to start production by the end of this year. Daniel Craig returns for a final outing as 007 (hoping to end his tenure on a high note), this time under the watch of Oscar-winning director Danny Boyle. Bond 25 is set to be released in November 2019. With Craig and a creative team in place, one of the more pressing matters for the movie at this point in time is to iron out a supporting cast. It's expected Craig's MI6 allies (Ben Wishshaw's Q, Naomi Harris' Moneypenny, and Ralph Fiennes' M) will carry over from their previous outings, but there will surely be new characters along for the ride. No Bondfilm is complete without a foe to oppose the hero, and we may now know who the producers are targeting for the part. According to Mirror, Helena Bonham Carter is who producers are eyeing for the antagonist. The outlet's source mentioned Angelina Jolie is thought by many to be the favorite, but Carter is the filmmakers' pick. It is worth mentioning, however, that this is strictly a rumor for the time being and should be taken with a healthy grain of salt. Carter (or anyone outside of Craig, for that matter) has yet to be confirmed. Should this come to pass, Carter would prove to be a fascinating pick. Over the course of her career, she's demonstrated quite a range with her various characters, picking up two Oscar nominations (for The King's Speech and The Wings of the Dove) along the way. Carter is no stranger to villain roles, as she famously brought life to the wicked Bellatrix Lestrange in the Harry Potter films. Bond villains can be quite theatrical and over-the-top (as Bellatrix was) at times, so Carter could certainly relish in chewing up scenery as she torments 007. Of course, she's also more than capable of portraying a nuanced and subtle threat, so whatever the script calls for, Carter would be able to handle the role with her tremendous talent. As of this writing, there are still six months until Bond 25 starts shooting, so the producers have some time to conduct a thorough search and find the right person for the villain role. The Craig era has been relatively hit or miss when it comes to antagonists; Le Chiffre and Silva arguably rank among the franchise's best, while Dominic Greene and (most frustratingly) Blofeld were largely forgettable. Perhaps not so coincidentally, Casino Royale and Skyfall are the two most critically-acclaimed Bond pictures of the last several years, so there's a lot of pressure on Boyle to deliver a compelling antagonist. Hopefully Carter (or whoever gets it) has a great role to sink their teeth into. In a recent Reddit AMA, Jeffrey Wright merely stated “it’s possible” he will return as Felix Leiter in Danny Boyle’s Bond 25. EON Productions is currently seeking actors to play the female lead and primary villain in the highly-anticipated Bond 25. This news comes just a day after rumors circulated that Idris Elba is being considered to play 007 after Daniel Craig's final turn as the British super-spy in Bond 25, although Elba has since shot down those rumors. Before producers can even consider Craig's replacement, they must first contend with rounding out the cast in Bond 25. Craig is currently the only confirmed cast member on Bond 25, but there have been no shortage of speculation about new and returning cast members. Earlier this year, Naomie Harris revealed she was unsure if she was returning as Eve Moneypenny in this action-adventure. There has also been speculation about Mark Strong coming aboard for a mystery role, which he may already be in training for, while Helena Bonham Carter has been rumored to be the producers' top choice for the villain role. There has also been talk that Jeffrey Wright could reprise his role as Felix Leiter from 2006's Casino Royale, but that has not been confirmed either. This latest report comes from Variety reporter Justin Kroll, who revealed on Twitter that producer Barbara Broccoli and her EON Productions company are currently meeting with actors and actresses, specifically for the lead actress and villain roles. Kroll did not mention any specific front-runners who were in contention for these roles, or when a final decision may be made in regards to casting. While not mentioning Elba by name, who has been at the heart of a grass-roots campaign to land him the 007 role, Kroll also seemed to indicate that replacing Craig is not a priority at this time. Kroll added in his tweet that, "what they are not doing is thinking about who would replace Craig when Craig hasn't even started filming this film yet." There has been no official word yet on when production may begin, but with a November 8, 2019 release date already in place, it's possible that filming could begin sometime this fall, which explains why casting is currently underway. Director Danny Boyle was confirmed to take the helm back in March, replacing Sam Mendes, who directed the last two 007 adventures, Skyfall and Spectre. Boyle will direct from a script by John Logan, who also wrote Skyfall and Spectre, with EON's Barbara Broccoli and Michael G. Wilson producing. The potential casting of Elba aside, Bond 25 could also have a big impact in another way, with a report from April claiming that the James Bond franchise rights are being used to entice buyers in a potential sale of the entire MGM studio. If a sale doesn't happen between now and next November, when Bond 25 hits theaters, that movie's performance could play a role in who may be a potential buyer and who may not. Still, as far as this current casting is concerned, since there are no front-runners that have been mentioned so far, it remains to be seen what kind of actors the studio is looking for, in what will be the end of the Craig era in the 007 franchise. It seemed that the milestone Bond 25 was finally coming along, with star Daniel Craig back, and director Danny Boyle stepping in direct. However, the film just hit a major roadblock, as it his been announced that Boyle has dropped out of directing Bond 25, due to "creative differences"
Here's the announcement that was made on the official James Bond Twitter Account: "Michael G. Wilson, Barbara Broccoli and Daniel Craig today announced that due to creative differences Danny Boyle has decided to no longer direct Bond 25." It will be interesting to see if we now get to learn more from Boyle about what his vision of the next Bond film would've been, and if it was that idea that led to creative friction with the producers. In the meantime, producers Michael G. Wilson and Barbara Broccoli will presumably need to scramble to find a replacement director, as Bond 25 was already headed into production, with a previously announced production start of December, over at Pinewood Studios over in the UK. The fan rumor mill is already spinning with theories and speculation about what exactly led to this big change in plans. Some of that speculation goes so far as to wonder if perhaps producers didn't have another director in sight before Boyle, and if there won't be a quick turnaround between Boyle's departure and the announcement of his replacement. MGM clearly has control of the media spin on this one, so it wouldn't be at all surprising if some additional PR plans are already in motion. A new report suggests Danny Boyle may have exited as director of James Bond 25 in a dispute over casting. The road to the next Bond film has been a surprisingly dramatic one. The franchise’s previous installment, Spectre, proved to be somewhat disappointing to fans, and ended in a such a way to suggest it could be Daniel Craig’s final time playing Bond. Craig played coy about returning to the character for a while, before officially signing on for one final movie last year. It was confirmed Sam Mendes – who helmed both Skyfall and Spectre – would definitely not be returning, but fans got excited when Danny Boyle (28 Days Later, Trainspotting) came onboard the project. He pitched producers his concept for the movie and was given the greenlight to develop a script. Boyle also previously helmed Craig as Bond in a segment for the 2012 Olympics, so he appeared to be a natural pick for the director’s chair. Sadly, that’s no longer the case, as it was announced this week Boyle exited James Bond 25 over ‘creative differences.’ Now a new report from The Telegraph may shed some light on what these differences were. In addition to producers allegedly being unhappy with the script’s focus on a modern-day Cold War with Russia, a source suggests Boyle's preferred casting choice for the Russian lead villain – actor Tomasz Kot – was vetoed by Craig himself, who has final say. These reports should be taken with a grain of salt, and it's likely a clearer picture of what caused Boyle to exit James Bond 25 won’t emerge for a while. Boyle typically works on more modestly budgeted projects that allow him a greater degree of creative control, so it’s possible that once he realized the number of restrictions that would be imposed on him, he decided to walk away before a clash could happen. The director also had a negative experience working on The Beach in 2000, making him reluctant to commit to big-budget studio projects ever since. Boyle’s loss means James Bond 25 is likely to miss its projected release date of November 2019 and will need to be pushed back while a new director is found. Craig has stated he wants to end his run on a high note, and after the rushed production of Spectre, he’d likely favour the project taking its time to find the right filmmaker and script. It’s not known if the production will still use Boyle’s story or come up with another concept, and that decision will likely depend on the hiring of a new director. Why Did Danny Boyle Quit Bond 25? Danny Boyle was confirmed as director for Bond 25, only to exit the project one year before the upcoming movie's release. No stranger to directing Daniel Craig as the titular secret service agent - having included him in the 2012 Olympics opening ceremony - Boyle has ultimately parted ways with the project, opening the door for a new slew of prospective directors. But why? The 25th entry in the Bond franchise, as well as Daniel Craig's fifth on-screen outing as 007, Bond 25 was geared to hit the ground running once Danny Boyle (Academy Award-winning director of Slumdog Millionaire) was brought aboard to direct. Boyle and screenwriter John Hodge (who has collaborated with Boyle on everything from Shallow Grave to T2 Trainspotting) had reportedly crafted a promising concept for the movie, though no details regarding a synopsis have been revealed. Unfortunately, citing the traditional "creative differences," Boyle dropped out as director, though he has yet to elaborate on any other factors that contributed to his decision. That said, the clearest takeaways may well have ties to other projects Boyle has been working on outside of Bond, as well as the director's trademark style, which may be too far removed from the franchise's overall aesthetic. While "creative differences" tend to be the simplified, go-to explanation when filmmakers leave projects, it's especially fitting for someone like Boyle in this particular franchise. As someone who tends to work on intimately-scaled projects, Bond 25 was outside of Boyle's wheelhouse from the very beginning. That's not to say that he couldn't have handled the movie (Sam Mendes, who directed the previous two installments, is best known for movies like American Beauty and Road to Perdition, and managed to create a fan-favorite out of Skyfall), but given Boyle's unique approach to filmmaking, as well as the fact that this franchise tends to leave the more creative gestures to its villains and gadgets, parting from the project may not have been especially difficult. His brute and frenetic style could have definitely given the franchise some uniquely elevated energy, but with studio pressures potentially watering down his style, Boyle may have been right to not sacrifice his techniques for the sake of the franchise's safer, mainstream M.O. What's more is that Bond 25 isn't the sole project that has Boyle's attention at the moment. He's also directing a script from Richard Curtis (Love Actually, About Time), starring Lily James, Ana de Armas, and Ed Sheeran, which is reportedly a mid-century-set musical. And, even though tackling more than a single project at a time isn't unheard of (Steven Spielberg worked on Schindler's List and Jurassic Park simultaneously), he didn't leave Bond empty-handed. In fact, the studio restraint surrounding Bond may have been especially unsatisfying given the creative freedom he's likely been given on something as uninhibited as a musical, making it easier to jump ship. As a filmmaker who approaches projects with little restraint, the limitations surrounding such a massive franchise might have never lived up to Boyle's creative scope. And, though Boyle may never openly reveal what exactly pushed him away from Bond 25, his departure doesn't seem entirely surprising. He's an artist who is at his best when he's unchecked, and the Bond franchise has already seen what can happen when a talented filmmaker is forced to make creative sacrifices that ultimately jeopardize the reason they've been brought aboard in the first place (see: Marc Forster's Quantum of Solace). The Bond franchise is building to a climax next year, with Daniel Craig potentially stepping down as the suave superspy following the debut of Bond 25. However, as excited as many fans are about the next installment in the series, it recently hit a setback with the departure of 28 Days Later's Danny Boyle from behind the camera. Now, the movie may be pressing pause to figure out which filmmaker will step in and take the franchise in a fresh direction. Yet, I'd argue the proposed story for Bond 25 seems tailor-made for Kathryn Bigelow to step in and work her magic. Those opportunities are out there, and I'm grateful. I'm just more drawn to a journalistic aspect of film. That opens up very specific avenues as opposed to more comforting avenues. It's a responsibility I'm excited to pursue, whereas something that has less content is less compelling to me. That's what makes Danny Boyle's exit from Bond 25 feel like such a unique opportunity for Kathryn Bigelow. Though the film is still in development, and we don't know too much about it yet, some details that have surfaced in the wake of Boyle's departure have suggested that Bond 25 have suggested a story that leans into current headlines, with recent reports noting that the proposed story will focus on the "modern-day Cold War." With a real-life conflict serving as the backdrop of the newest installment in the 007 mythology, this could very well become the premise to pique Kathryn Bigelow's interest. With all of this said, I also want to note the fact that a Bond film is right up Kathryn Bigelow's alley from a pure filmmaking point of view. With her work on Point Breakback in the 1990s, she showed that she could stylistically do gritty action. Just look at the now famous chase scene from that classic heist film, below! Bond 25 may be getting a script rewrite and a release date delay following director Danny Boyle's departure from the project. The latest installment of the long-running action franchise was poised to begin production this December ahead of its November 2019 release date. Unfortunately, it hit a major roadblock earlier this week when Boyle left due to creative differences with the producers and star Daniel Craig. In the time since that news broke, it appears the casting of the villain played a key role in Boyle leaving. In the wake of the Boyle development, the prevailing thought was that EON would target a safe choice as a replacement, in order to stay on course for its previously scheduled release window. However, the latest suggests Bond 25 is going to start from scratch, which could push it back quite a bit. According to Variety, Boyle's exit likely means the script he co-wrote with John Hodge is also off the table. As a result, the filmmakers want to bring in a "writer or writer-director" to take a stab at the project. There's no telling how long that search could go on for, and even when a replacement is found, it's going to take some time for them to deliver a finished screenplay. The belief is in order for Bond 25 to open next November, the cameras need to be rolling by January 2019, or the task becomes implausible. Earlier in Bond 25's development, EON was weighing between Boyle & Hodge's script and one penned by Bond veterans Neal Purvis & Robert Wade (who have penned every franchise entry since 1999). It sounds like the producers have scrapped that screenplay too, which will come as a relief to some viewers. After the lackluster Spectre, many felt Purvis & Wade's run in the series had grown stale and were eager for some fresh blood. It'll be interesting to see who gets brought on, but it's encouraging to see EON take their time instead of rush things to meet the release date. Bond 25 is set to be Craig's final outing as 007 (he's staying in the role even if there is a delay), and everyone involved is committed to seeing him bow out on a high note. As for possible replacements, big names that fit what EON is looking for might be hard to come by. Christopher Nolan took himself out of the running well before Boyle was hired, Denis Villeneuve is prepping Dune, and Christopher McQuarrie wants to recharge his batteries before making something original. Viewers were excited by the prospect of Boyle doing something different with the material and helping redeem Craig's rocky Bond tenure, so hopefully EON finds someone just as talented who can deliver a thrilling adventure. As we expected, the departure of director Danny Boyle has had a huge effect on the production of Bond 25, as MGM and Eon begin searching for a new writer to join the project. More details past the jump. When the announcement that Danny Boyle would no longer direct Bond 25 came out a few days ago, one of the biggest questions that arose was whether the film would still make its November 9, 2019 release date. Now, that seems highly unlikely, as Variety reports that the film "is back to the drawing board" and notes that MGM and Eon are currently "looking for a writer or a writer-director to come on to the film." As the trade explains, this likely means a major rewrite is coming, if Boyle's script isn't scrapped altogether. Likewise, we shouldn't expect the producers to use the draft submitted by Skyfall scribes Neal Purvis and Robert Wade. Because of these developments, it will be incredibly difficult to hit the 2019 release date, as Bond 25 will reportedly have to begin filming by this coming January in order to stay on target. With Bond 25 in need of a new director, Jean-Marc Vallee has reportedly been approached about taking the job. Following Daniel Craig's uncertainty surrounding a fifth appearance as James Bond, the next entry finally started to gain momentum over the last several months. EON and MGM looked at several big name directors before eventually finding Danny Boyle and naming him as their choice. His hiring came after it was agreed that he would develop an original Bond story with his longtime writing partner John Hodge, but due to creative differences coming from his vision, Boyle exited the project earlier this week. Boyle leaving Bond 25 immediately signaled alarm bells for many as the project was already in the casting phase. The priority looked to be as simple as finding a new director to take over, but a complete script rewrite may now be in store. They'll need a director sooner rather than later if they want to retain the film's current release date, and it appears an Oscar-nominee has been asked. Deadline reports that Jean-Marc Vallee has been approached about directing Bond 25. The holdup for Vallee may come down to scheduling. Although he has no director projects currently on his plate, he is an executive producer on both Big Little Lies and Sharp Objects. He also directed every episode from each of those series' first seasons. His involvement with season 2 of Big Little Lies isn't yet known, and there's no word on a second season for Sharp Objects. If his schedule is clear, Vallee could be a great choice for Bond 25. His work on Dallas Buyers Club brought him his Oscar nomination, and his Reese Witherspoon led drama Wild was equally as impressive, though Demolition split critics. His turn to TV though has resulted in two massive hits. He could ultimately decide to stay on the small screen, but the option for a major big screen return is reportedly on the table if he's up for it. Vallee is just the latest name to be floated around as a possible replacement on Bond 25, but he's also one that has noted interest. He admitted in an interview that a James Bond would be "fun" to do, and he may now have his chance. If Vallee is seriously considered, he'll have to beat out some potentially other big names to get the job. Mission: Impossible - Fallout director Christopher McQuarrie has been rumored as someone the studio wants to get. It also won't be surprising if David Mackenzie or Yann Demange are brought into the discussion again, as they were on the shortlist prior to Boyle. As of right now, Vallee has as great a chance at helming Bond 25 as anyone else, so how the discussions and project progress will determine whether or not he's ultimately the choice. The next James Bond movie is at a crossroads. Trainspotting director Danny Boyle was locked down to start shooting the next 007 entry in December, but this week the filmmaker walked away due to creative differences. After that, word came that the movie was likely to miss its projected 2019 release date. And now the question still remains: who is going to direct Bond 25? A new report from Deadline has a list of four names that are the supposed frontrunners to take over the film. Without question, the most exciting name on the list is Edgar Wright. Wright has proven time and time again that he’s more than adept at directing action: all of his early comedies are loading with frenetic, kinetic action beats, and his most recent movie, Baby Driver, is his most action-packed yet, overflowing with car chases galore. When Baby Driver came out, an interviewer asked Wright if he had any interest in graduating into franchise filmmaking. “I would be a fool to say no, so I will definitely say never say never,” the director said, adding: “I will say on the record that I’ll do a Bond movie.” Wright came very close to the world of big budget franchise movies with Marvel’s Ant-Man, but he departed the project due to creative differences. Wright’s schedule appears, for the time being, relatively clear, so if an offer has really been made to him, as Deadline claims, he might just take it. And how cool would that be? Hell or High Water and Outlaw King director David Mackenzie is also on the shortlist. Mackenzie would no doubt do a good job – both Hell or High Water and Starred Up prove he has the goods – but his commitment seems unlikely. Mackenzie was one of the names considered for the job before Boyle was officially hired, but Variety reports he’s now currently in pre-production on the TV series Gemstone. If producers really, really want Mackenzie for the job, they might be willing to wait until he’s free. But it’s doubtful. I would’ve personally never considered Jean-Marc Valle for the job, but now that he’s in the running, I want it to happen. Valle has a very unique filmmaking style, employing flashbacks within flashbacks pieced together by meticulous, sometimes jarring editing. He’s the director behind the film Wild, the first season of Big Little Lies, and the currently-running Sharp Objects. Would Valle bring his style to Bond 25? If so, he might make the most distinct-looking Bond film in years. However, despite his presence on the shortlist, Deadline adds that his “participation is unlikely due to scheduling.” So don’t get your hopes up. Baby Driver's Edgar Wright is considered a possible candidate to helm Bond 25. The project is in need of a new director, following Danny Boyle's exit earlier this week. The Oscar-winning filmmaker left due to creative differences with the producers and star Daniel Craig, reportedly over casting the villain. EON had hoped to commence principal photography this December in order to meet the previously scheduled November 2019 release date, so the search for Boyle's replacement is on. Despite reports suggesting Bond 25 could be delayed due to the setback, the film hasn't moved from its window yet. It would appear the studio is hoping to get someone new onboard quickly, as evidenced by names such as Jean-Marc Vallee already being rumored. Now, another prominent director is thought to be in the running for the job. Related: Why Did Danny Boyle Leave Bond 25? In the same Deadline report that mentioned Vallee, it's stated Wright is "a real possibility" to call the shots on Bond 25. Wright, who is coming off the critical and commercial success of Baby Driver, certainly fits the bill of an established writer-director EON wants. The British helmsman is also a fan of the Bond franchise, which is an added bonus. Tonally, much of Wright's material greatly differs from the brooding, serious Bond Craig has molded over the course of his tenure, but there's no denying Wright would be an incredible hire for EON. Over the course of his career, the director has demonstrated a knack for crafting exciting set pieces, such as the hand-to-hand combat sequences of The World's End and Baby Driver's thrilling car chases. His style (both visually and in the writing) and sharp attention to detail has the potential to deliver Craig's 007 a fitting sendoff - which was the actor's motivation for returning one last time. Wright's Cornetto trilogy was brilliant in the way it commented on different film genres (while celebrating them at the same time), so seeing him take on the world of espionage would be a treat. What remains to be seen, however, is how likely this all is. Wright is no stranger to creative differences on a studio blockbuster, having an infamous falling out with Marvel Studios over the direction of Ant-Man. The auteur may be leery of taking on another franchise installment, opting instead to develop something new he'd have creative control over (remember, Craig has input on casting decisions). Wright has teased an adaptation of the novel Grasshopper Jungle in the past, and he also seems keen on scripting a Baby Driver 2. It'll be interesting to see what happens, but a number of Bond fans will be hoping Wright accepts the call from MI6 if the offer does indeed come his way. The search for Bond 25's director is on again - and three contenders have already emerged. Once MGM and EON Productions convinced Daniel Craig return for a fifth appearance as James Bond, the next decision became who would direct. The studios considered several notable names before eventually turning the installment over to Danny Boyle. He worked closely with his Trainspotting collaborator John Hodges to write a script, but then creative differences for Boyle's direction and casting resulted in him leaving. His exit immediately sounded alarm bells for Bond 25 as the movie was scheduled to go into production at the end of the year. This is now unlikely as a new Bond 25 script is needed and the a director must be found. Previous reports indicated previous finalists for Bond 25 may once again be considered, along with Jean-Marc Vallee, Edgar Wright, and Christopher McQuarrie. Variety now reports three new contenders for Bond 25's directing gig. The one that has been in this place before is Yann Demange, who was in the running prior to Boyle's hiring. However, it appears the studios also have their sights set on two new and rising names. American Animals director Bart Layton and Jessica Jones director SJ Clarkson - who previously signed on for Star Trek 4 - are also now being considered. The producers of Bond 25 still need to schedule meetings with both Layton and Clarkson, but those will, hopefully, be locked down soon. Demange already has a leg up on his new competition after already meeting the producers earlier this year. It appears another meeting may now happen as the Bond 25 producers want to see the final cut of Demange's latest movie, White Boy Rick. The Matthew McConaughey-led crime movie is scheduled to hit theaters next week, so it shouldn't be too difficult to acquire a screening and determine if Demange is the choice this time. Layton is a long-time documentary director, writer, and producer, but his feature debut American Animals has been a huge hit with critics this year. The indie heist film features Barry Keoghan, Blake Jenner, and Evan Peters as ambitious thieves. American Animals currently holds an 87% fresh rating on Rotten Tomatoes, so it's no wonder the up and coming Brit filmmaker is being considered. Clarkson, meanwhile, has already landed a major franchise film, so Bond 25 could be the latest one to come her way. If she is the choice, she would be the first female to ever direct a Bond movie. She's set to do the same with Star Trek, so after tackling episodes of Jessica Jones, The Defenders, and Orange Is The New Black for Netflix, she's shot up to the top of several lists in Hollywood. Once these meetings conclude, hopefully Bond 25 will have its new director in place, and it doesn't appear that the studio could go wrong with any of these choices.